Your wedding is a very personal event, so your photography should be as unique as the day itself. We will always listen closely to what you want, need and expect from us so we can make sure you’re completely satisfied with what we do. This process will begin with a wedding consultation. Being engaged is, of course, a very exciting stage in anyone’s life, but it also brings the responsibility of actually organising a wedding! 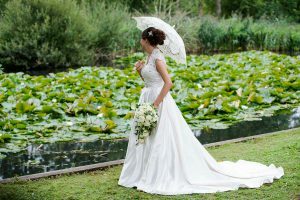 There are so many different things to think about, from the dress to the venue to the catering – but when you work with us, at least you can always be certain that you won’t have to worry about the photography. Award winning photographer Jonathan Hilder of Piers Photography has been photographing weddings of all kinds for more than twenty years and offers a combination of absolute professionalism, a fantastic eye for detail and a deep photographic expertise, with wedding packages available for very reasonable prices. The style of photography you want. Candid, formal, traditional, contemporary, classic, unique, a mixture of different styles – the possibilities are endless. Special requests. Whatever you have in mind, just ask! We may have done it before and will always strive to give you what you want. The wedding venue and other suppliers. Previous examples of our work. What will happen in the case of illness, technical difficulties etc (we are fully insured and have back-up plans in case of anything going wrong). Our “try before you buy” engagement shoots. We will arrange a completely free try before you buy engagement shoot, usually at your wedding venue or at our studio, so that you can get a feel for the way we work and see examples of our photography. We will produce a series of photographs which you can then come and view at our studio. 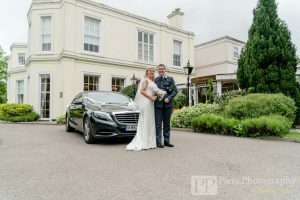 The opportunity to get some lovely photographs of yourself and your significant other together in a relaxed and informal environment as you look forward to your wedding. It will help you to get used to being in front of the camera so when the big day finally arrives you can feel at ease being photographed. We believe that the best photographs are taken when you feel comfortable and relaxed, and this is the effect we want to achieve for your wedding photos. You will get to meet your photographer and help them understand your style, taste and personality so they can portray your wedding day in the right way. You will be able to try out some poses and angles for the big day itself. After your engagement shoot, we will ask you if you would like to book your wedding photography with us – so far, everybody has! You will be provided with an 8 x 10 copy of your favourite image from the shoot, and you can also choose a picture that we will enlarge to 12 x 16 with a three inch border. This picture will be brought to your wedding for your guests to sign and leave messages on. Your wedding is one of the biggest events of your life, so when you hire a wedding photographer you want to know that they’ll be there for all the most important moments. We can cover your entire wedding; whether you want us just to photograph certain parts of the day, such as the ceremony or the reception, or want us to be there from the morning right up until the end of the evening, we can provide an individual package that’s perfect for your needs. Before the big day itself, we will have discussed what you want to get out of your wedding photography, so we’ll know exactly what you expect from us. We can capture all the biggest and best moments – getting ready, walking down the aisle, cutting the cake, the first dance – as well as those smaller details and moments that all contribute to the atmosphere, fun, and joy of the occasion. Of course, on your wedding day we know that you want everything to run as smoothly as possible, so we’re always prepared for all eventualities. No matter what the weather, we will be able to make the most of every opportunity for great photos. We will work together with your ushers to ensure we can provide a fantastic, well timed photography service that doesn’t intrude onto your special day. Once the wedding itself is over, we will put some of the photos up on Facebook so that you and your guests can enjoy a sample of the images. You’ll then be able to peruse the pictures on your very own website gallery and choose your favourites. Once you have made your selection, we offer several different options for displaying and enjoying your wedding pictures. 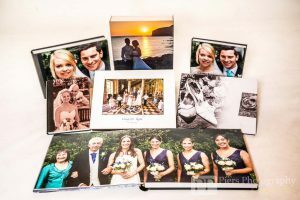 Our packages include luxurious, high-quality Graphi and Venice Albums, as well as all your pictures on a DVD, a hardback A4 book of the pictures, and 50 thank you cards to help you thank your guests and provide them with a memento of the day. If you want to add a little extra touch of glamour and excitement to your wedding reception, we can set up a complete studio and digital printing suite for your guests to enjoy at the venue, complete with studio lights and props. Your guests can take their own photos throughout the evening, then we will provide you with prints and a book of the photos so you can remember how much fun you all had on your special day! Please get in touch if you would like further information about our recommendation scheme and you could get your wedding photography package for free.